Not long ago I took a photo of my kiddos homeschooling to share on my Facebook page. I was trying to give a little view of what our homeschool room looks like! My husband seized the opportunity to share a bit of the reality of homeschooling. I thought it was hilarious! So I am sharing it with you! Homeschooling! Why on earth do we do this? I mean, I pay so much in taxes to pay for the schools (as do my neighbors whether they have children or not) that it seems foolish in some ways to not take advantage of the education being offered just a couple of streets away from my home. I was public schooled. My husband spent part of his school years in public school. We both turned out pretty well if you ask me. Why take on the burden educating my children myself? Why give up a sweet income I’d make if I were still teaching myself. Why all of the sacrifice? I’ll be honest. This summer I had moments where I decided I couldn’t, I just WOULDN’T continue homeschooling. If I say something like to that any of my friends I think they may faint. The fact of the matter is any normal mother get’s tired. I’m a normal mother. I was feeling worn out, totally exhausted, and completely overwhelmed. I had been neglecting my own health. I was tired of living on a limited income. I was tired of keeping all of the balls in the air that make this homeschooling thing work. It felt so EASY to think about just sending them to school. I had my husband so convinced I was done he even began poking around on our town’s board of education website to find out how to enroll them. That’s when I realized I had to get back to focusing on WHY on earth I do this? I do it because I believe the family should be the center of a child’s world. Sending them to school makes school the center. Schools are not healthy for anyone. I do it because I believe God should be at the center of a child’s education. God is not allowed in schools. I don’t believe Christian schools can provide the kind of discipleship that I can walking every day with my children and serving on their more on-on-one guide through life. I do it because I believe it is unhealthy for children to be surrounded by other children for hours on end day in and day. Children have not learned to be mature and upright. Children need positive role models like their parents and carefully chosen adults. I do it because I don’t believe a person can get a truly great education that is as wide as it is deep by sitting inside one building, perhaps even one room, day in and day out. I do it because I value the sibling relationship and I believe schools often sever that bond. I do it because I believe children need to be protected and I don’t believe schools protect children. I do it because someday soon as I launch them into the world I will know that I did absolutely positively EVERYTHING I could do to raise them to bring glory to God. In the end I have to trust in Him to make it all work. Please do not get me wrong. I raising my children this way does not mean they will always walk closely with God. Homeschooling isn’t a magic bullet. I will rest easy knowing I did the best I could. I do it because God has called me to do it. There will come a day when I am once again worn out. When school will sound like the easy path. You’ll hit that day too. Write day your list of why’s and put it some place where you can get to it easily. Then on those days read it! Read it out loud! SHOUT if you need to. Never let go of the why’s. Please click here to see all of the posts in my 5 day series: Back to Homeschool! Summer is winding down. A “new” school year is coming upon us. In many parts of the country traditional schools have already started and my Facebook newsfeed already shows me that lots of my homeschool friends from around the country have started a new year too. In our family we generally homeschool year round though we do so more gently in the summer. We like the routine and the slower pace it affords us during the busier seasons so we keep up with the basics. I want so desperately to hang on to summer this year. My children are growing so fast. Fall means both of my boys will turn another year old. My oldest will turn 10. His days of endless pretend play, fort building, and the fun and silliness of childhood are numbered. The teen age years are barreling down the pike. I only have 8 more years to be his homeschool mom and then I have to launch him into the world. The last 10 have flown buy so I know the next 8 will too. Wasn’t he just a baby in my arms? To all the new homeschool moms and the veterans too… these are precious days that we’ve been blessed. Despite the chaos and stress that homeschool often brings I want to savor the good moments. So to you I say…. Start the new year very very slow and let summer live on a while longer. All of the museums, parks, libraries, beaches will be emptying out. Now is the time to go enjoy them. So do it. Take out a stack of library books and read them aloud. Fill up the car, pop in an audio drama and hit the road to some further away field trip. Talk, laugh, draw, paint, and make messes. Add in just one thing, maybe some math, just a few days a week. Slowly slowly slowly build on that. If homeschooling is new to you then understand that it is a new way of living. It will take time to figure it out. New or veteran, give yourself and your kids and ocean full of grace. Remember, this is a once in a lifetime opportunity for both you and your children. Just the other day I sat with a mom who is just starting down this homeschool journey. We both realized that the world will look different as a homeschooler and that it’ll take some time to unlearn the old traditional school ways. Later I got to thinking about some veteran homeschool moms we know (including me sometimes). We get so caught up in getting it all in and getting it all done. Life feels rushed where we go go go. No time to really stop, pause and observe. Sometimes we move through life, adventures, and experiences, and even our lesson plans too quickly. Once we’ve done something we have the attitude of “been there seen it.” To me that is just skimming through life and learning. I want to dive deep! You must make time for that. It will take a long time for a new homeschool mom and her children too see the potential and down shift. To realize how much an outing, a book, a field trip, or sometimes even a friend has to offer. These things are NOT meant to be skimmed over but to be soaked up. We veterans likely already know but lots of us need a swift kick to remember and take advantage. When my kids grow up they won’t think much about our grammar curriculum we did, or the math pages we do. Important stuff yes! I want them to learn that too. But what will really really make a difference in their lives are the experiences we had together and the relationships we built between ourselves and our loved ones. If I ask my kiddos to name the top 5 things they loved about homeschool the last year they will list slow days with friends at the park, long days on some of our craziest homeschool adventures, the stories we shared either aloud or on CD as we crisscrossed the state in our van, and the times we visited and revisited and revisited again our favorite museums. Those experiences provided the most learning, had the greatest impact, and brought us close to one another. I can’t wait for another year full of them! 5 Days of Back to Homeschool! Back to Homeschool! It is in the air! Traditional schoolers all over the country as well as homeschoolers are getting ready to crack open the books and start new in a great new school year. I’d like to share with you some of the changes we’ve made in our homeschool for this year including how I’m coping with a new kindergartner and a crawling active baby underfoot. We’ve recreated our homeschool space as well, though it is a total work in progress. I plan to share with you my favorite tips for starting off a new year well. 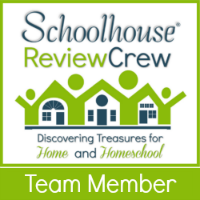 I’ve been given the opportunity to take part in a Back to Homeschool Blog hop as part of the Schoolhouse Review Crew and Homeschool Blogging Connection. I hope to make the series really helpful for you. Each day I’ll add a the link for the new post! Mark your calendars – 10 to 14 August – it’s time for this years Homeschool Blog Hop. 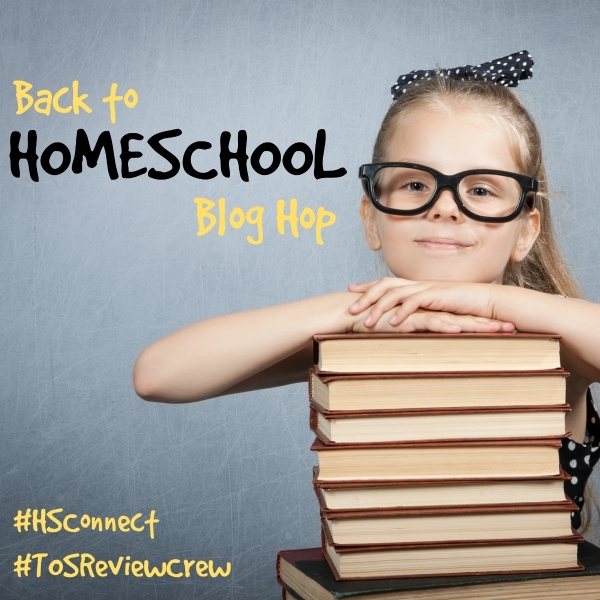 The School House Review Crew and Homeschool Blogging Connection to bring you a week full of back to school encouragement.